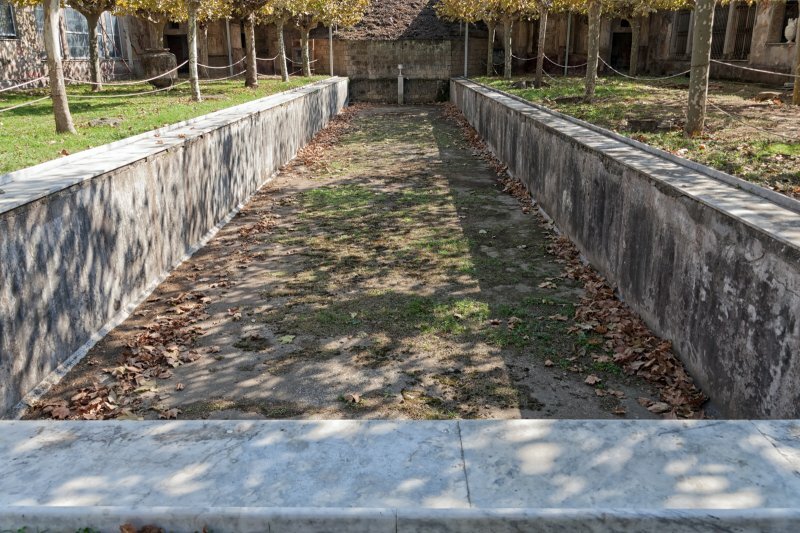 The original villa, dating from the reign of Augustus, consisted of a few rooms centered round a square atrium. The villa was extended during the Claudian period to include a garden and swimming pool enclosed by a three-sided portico surmounted by a colonnade with tortile columns. The ownership of the property is uncertain, although stamps on tiles could be an indication that the building was in the possession of Narcissus, a freed slave of the Emperor Claudius.